I decided to give a dresser a little update, by treating it just like I did my desk. Don't worry, they are on different floors! I love the update, I had all the supplies at home, and the girls thought it was interesting watching me paint dresser drawers in the kitchen! I have to say I'm pretty smitten with it! oh heavens! it's gorgeous. what a huge difference a little paint can make. love it! Gotta love a simple, easy update...especially such a gorgeous one as this! A touch a of crisp white is always good for freshing things up, isn't it? 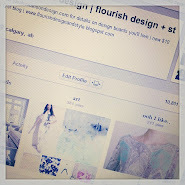 PS thanks for stopping by my blog today! Nice! I love the two tone. It looks very sophisticated. Great job'so what kind paint you used,always wonder what will hold to ikea furniture? Looks great!!! Love it! And, I love that mirror above your bed. I've been seeing that mirror everywhere lately and I love the modern look of it! WOW!!! Sarah, it is so gorgeous! fantastic update. It looks great! I am loving it! It looks fresh and beautiful! Love the transformation! It is fab. Nice work! Oh it turned out so chic and elegant - love it! And yes it IS so nice to meet fellow Canadian bloggers! well..you definintely rocked it! love! Nice... You sound like me when I do a project. It's either in the living room or on the kitchen floor as well. HA HA HA Love the dresser! It is like a totally different piece. Love it....and love the white ensemble on top! It's beautiful! I just love your style! oh Sarah, your dresser looks great. You have inspired me...we have the taller version of that dresser in Deacon's room...maybe another project on my list?! Love it Sarah!! !....I don't know how you find the time to get these things done...your amazing girl!!! I'd be smitten too! It looks great. Wow! It looks amazing! Nice work! what a transformation. changes the whole feel. love it, I think its the perfect upgrade for your bedroom! Great makeover! Love the contrast between the dark stain and the bright white! Love it too honey. You are super-talented!!! So amazing! Thanks for stopping by Appletree today! This looks great and completely different. I wouldn't have been surprised if you had said you bought that in an upscale furniture store. Nice job! I love them, Sarah, they look fabulous! What a huge difference! Wow - great idea Sarah! Love it! It looks so fantastic with the white drawers! So beautiful! What a beautiful makeover -love the dresser's new look! You killed it! Awesome job. This looks so good.It really brightens up the room.